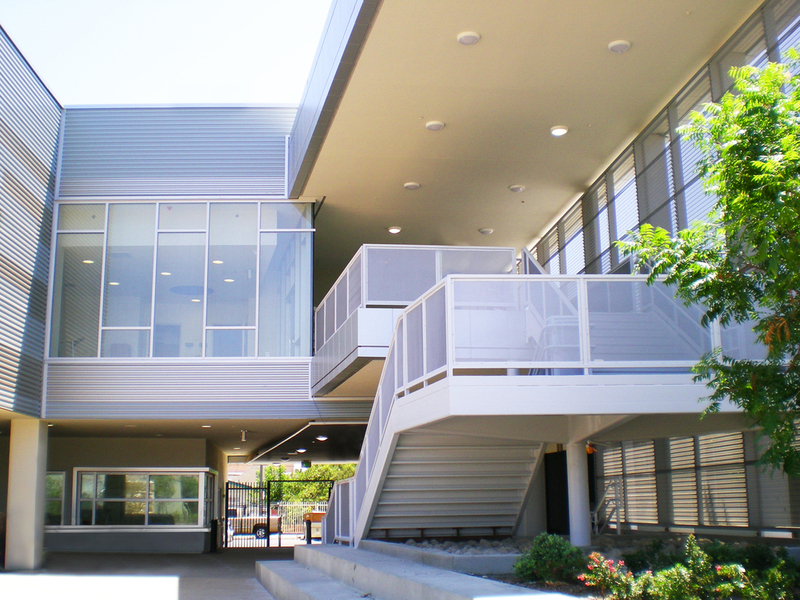 This new elementary school was designed as the “front door” of an urban community currently under redevelopment. The new school is 52,500 SF serving approximately 650 students, on two levels and will reside on a dense site of 2.7 acres. The program includes 27 classrooms serving kindergarten to fifth grade, administrative offices, a joint use multi-purpose space, food services, and a library. The outdoor playground design stems from a garden concept, allowing children the opportunity to play and experience nature in an existing harsh urban setting. 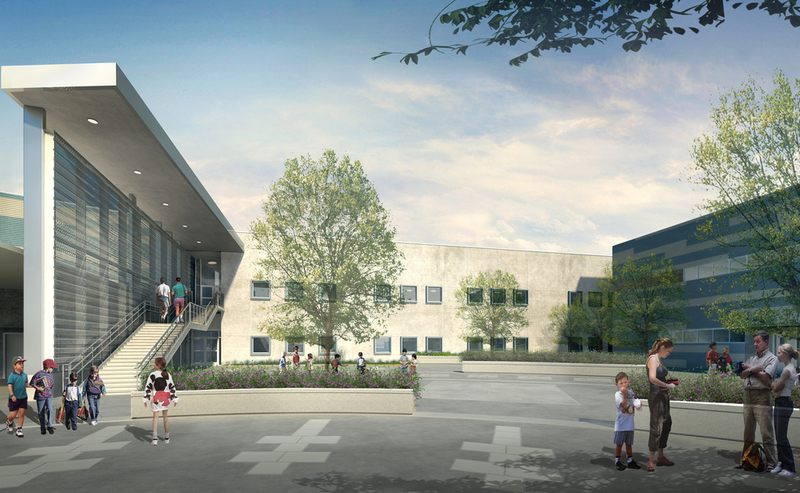 The school’s library is strategically located on the site’s corner, and will be conceived as a destination point by anchoring the two sides of the north and west classroom buildings. 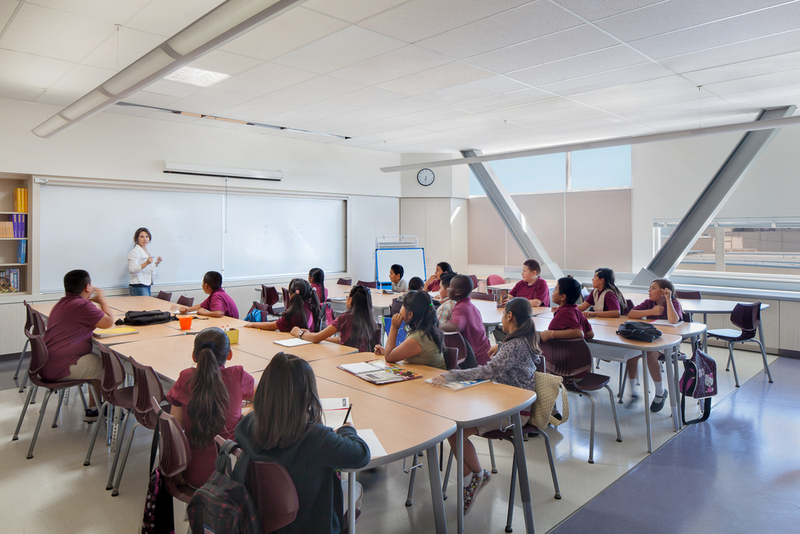 The building is a community steward of education and sustainability.